There’s been a lot of talk about Christmas presents recently and got me thinking about some of my best Christmas presents. Of course my best ever Christmas present was my beautiful boy Jimmy Jones. I’ve blogged about it before but briefly he was my precious Jack Russell that my Uncle gave me. He pulled this little black and tan JRT out of his coat pocket and I fell in love. This is one of my favourite photos – this is me with Taid and Jimmy. Happy Days! I asked the hubby what his best ever Christmas gift was and he couldn’t give me an answer! He said that he never gets surprise gifts and always has to choose his own Christmas presents (cue violins!). Well this year he’s getting a surprise gift which has come all the way from America! I can’t share in case he reads this. But you know, whatever gifts we give each other this year, I can guarantee that they’re not half as extravagant as the gifts on this list! Whilst I’m not averse to a bit of bling, I think an $8m necklace is a bit much right?! Although a white elephant would be pretty awesome – but where would you keep it? 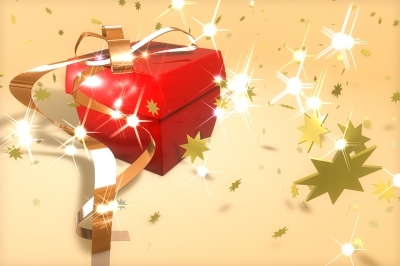 What have been you best ever Christmas presents? The best ever present I’ve received was my Dalmatian, Lady! She was a joint birthday and Christmas present for my 16th birthday and is without a doubt my favourite! I hope your husband likes his surprise gift! !